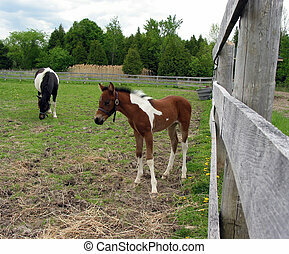 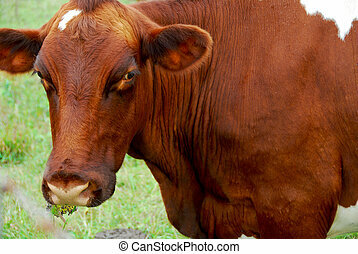 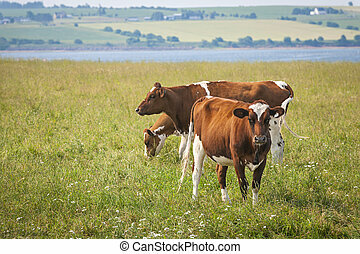 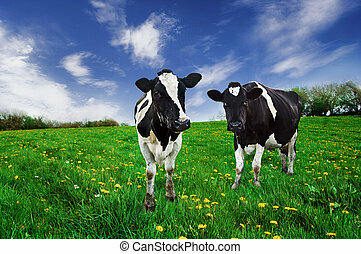 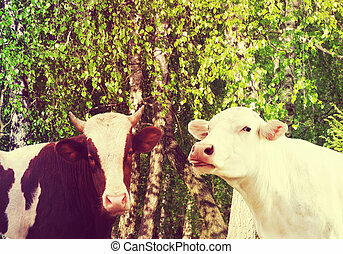 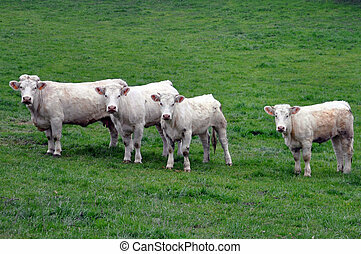 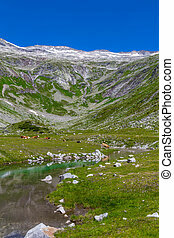 Cows in a pasture. 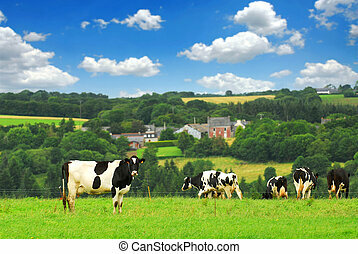 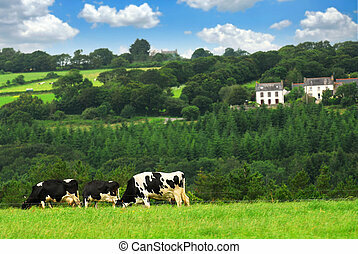 Cows grazing in a green pasture in rural brittany, france. 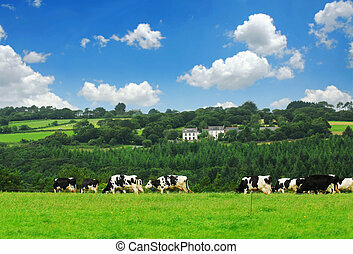 Cows grazing in a green pasture in rural Brittany, France. 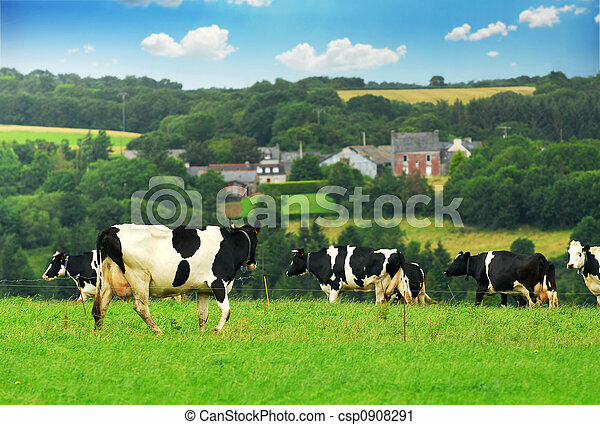 Friesian Dairy cows in a pasture. 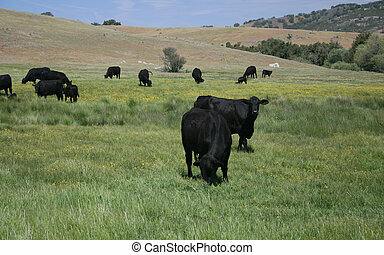 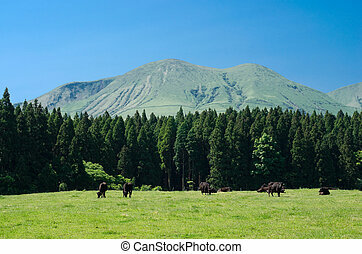 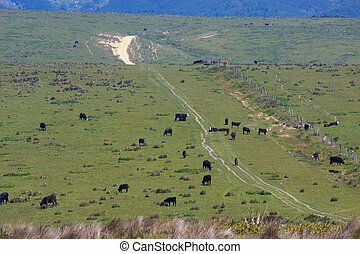 Black Angus Cows in a Pasture of Green Grass. 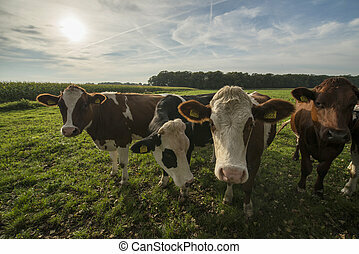 Curious Dutch cows in a pasture near Winterswijk in the Netherlands. 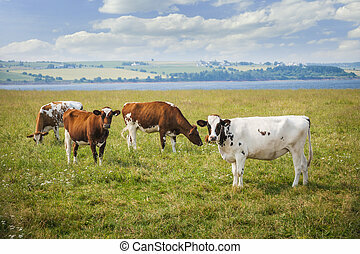 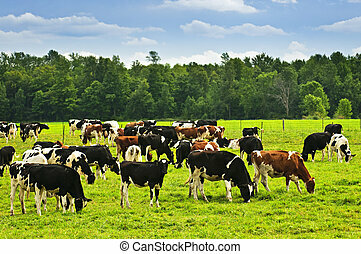 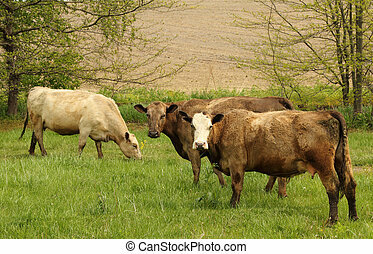 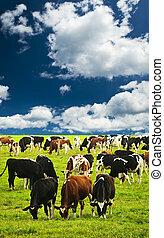 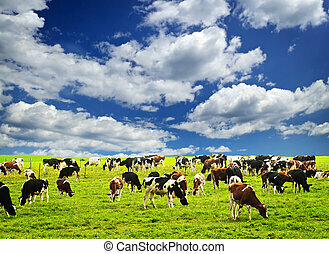 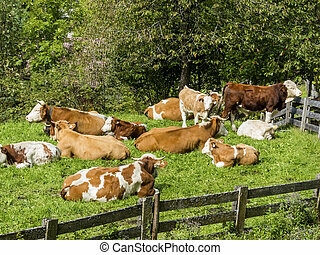 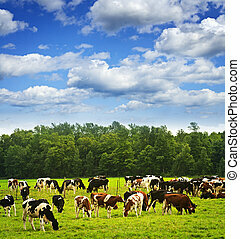 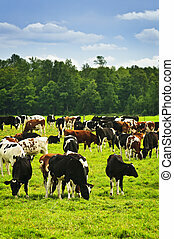 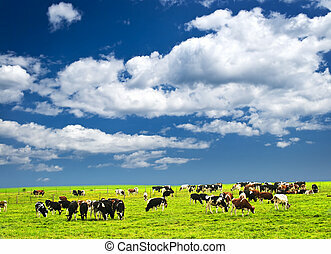 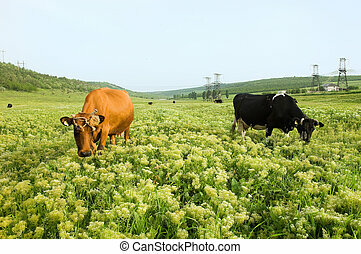 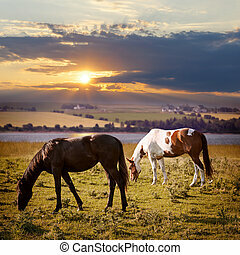 Herd of Ayrshire cows grazing on fresh grass in scenic meadow at Prince Edward Island, Canada. 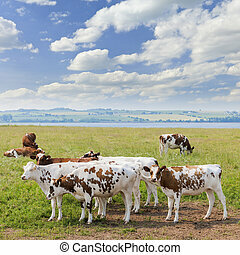 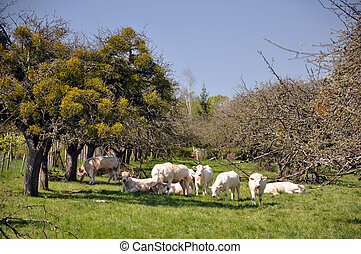 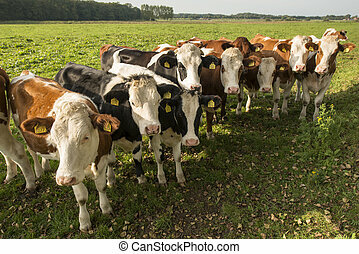 Herd of Ayrshire cows grazing in farm field at Prince Edward Island, Canada.